Sun, sea and sand – the English Riviera is at its best during the summer. Book now to make sure you take advantage of our Summer Break savings, including our early booking offers for the main summer period. Great savings on a selection of early/late summer breaks and early booking offer for the main summer period of July & August. Don't forget you'll be able to enjoy a packed entertainment and activity programme, including venues just for adults, plus this is a great time to get out and about and visit all that the beautiful English Riviera has to offer. Make the most of the extra long May Bank Holiday weekends with some fantastic special offers. 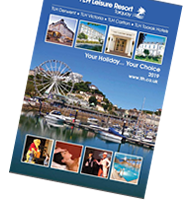 Perfect for families and couples alike, our leisure and entertainment schedule will ensure you enjoy every minute of your bank holiday break in Torquay. Spring has sprung on the English Riviera. Take a look at our fantastic special offers for April and May. Families will be spoilt for choice this October Half Term. With TLH family entertainment and activities and lots more to see and do in the area, you’ll wish you stayed for longer! Enjoy a relaxing break at the TLH Toorak Hotel, our country house hotel by the sea, a perfect base to explore the English Riviera. On these Adults Only Breaks, the TLH Toorak is completely child free, so you can relax and enjoy the peace and quiet in our comfortable lounges and dine at leisure in the sophisticated Abbey Restaurant. Entertainment and dancing is available every night of your stay and on some breaks it will be exclusively for adults be in the TLH Toorak’s Arlington Room. Great savings for families during school holidays and half terms. The following offers are available for selected dates and hotels. Don't forget you'll be able to enjoy full use of all of our TLH leisure and entertainment, plus this is a great time to get out and about and visit our local attractions. If you cant get away for Christmas and New Year then our festive party weekends provide all the magic of the festive season and are prefect for a pre-Christmas get together with family & friends. Save £20 or more off Festive Party Weekends in November, December and January. If you can get away during the week, there are even better savings to be had on selected midweek breaks. Entertainment lovers can enjoy a variety of top local acts, as well shows from our own TLH Entertainment Team on breaks such as Top of the Bill and Showstoppers. Staying longer? Look out for savings of up to £50-£60 when you book a 4 night stay. Look out for our great value Drinks Inclusive Breaks on selected dates during the year. Enjoy selected free drinks from the bar each evening of your stay from 6.00-11.00pm. Offer includes a draught beer and lager, red & white house wines, house spirits and a range of mixers. Our Drinks Inclusive option must be booked prior to your arrival. These offers apply to selected midweek breaks during the year with even greater savings when you book 4 or 5 nights. £60 - £75 off 5 nights stay on selected dates. Can't get away this Christmas or New Year? Why not enjoy a festive mid week break, with themed menus and music every night. Enjoy a relaxing weekend break with a full programme of activities and entertainment. Save between £20 - £30 per person when you book 2 nights dinner, bed & breakfast. Discounts now available on a wide selection of winter breaks.